This year in Monterey, there was some good and some less than good. We saw quite a few cars go unsold, but there were a number that met or exceeded their high estimate price. Some high-dollar Porsche lots were among those unsold, including the 550 Spyder, GT2 Evo, and both 962s. The 911 Carrera 2.7 RS Homologation car was withdrawn prior to the sale, so something funky happened there, but it's unlikely we'll ever hear the behind the scenes. 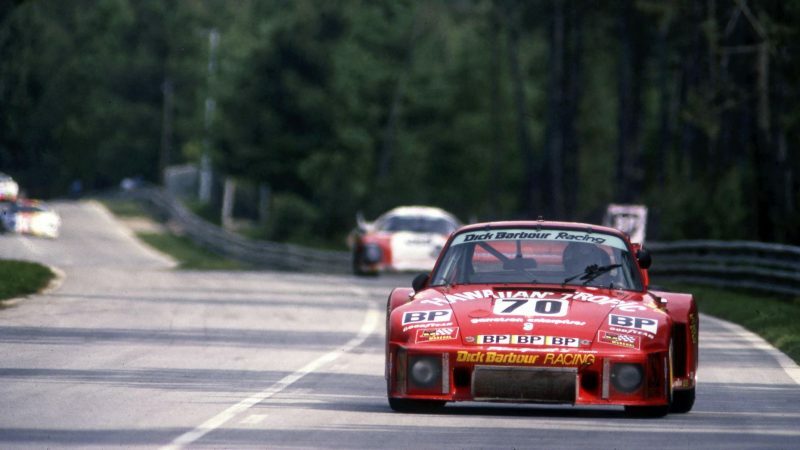 However, we did see a first-time Porsche buyer jump into the big leagues; Mr. Adam Carolla purchased the ex-Newman Le Mans class winning 935, and he says he is going to race it. We couldn't be happier that such an important car ended up with such a visible proponent of vintage racing, and he's going to use it as intended to boot! This was a relatively healthy sale, and I was in the room for Saturday night to watch the 935 sell. It was an interesting room, as most everyone had left after the headlining Ferrari sold earlier in the day, but apparently the real enthusiasts stayed behind to check out the rest of the roster, as bidding was hot and fast on most lots. I'm fascinated by the sociology of bidding, and enjoy attending every year. I was only slightly surprised to see a half-million dollar final price for a 997 GT2 RS, the 959 was a comfortable (Komfortable?) sell at $1.3 million, and I was disappointed by the 550 Spyder's inability to exceed $4 million in bids (it went unsold). The 935 sale was interesting, as it was the first time I've ever seen a false bid entered and then retracted. One of the phone bidders had put in an additional bid on top of $4.4 million, but the phone agent had apparently acted too quickly, and the bidder did not want to make that bid. In the end, I'm convinced it went to the right guy, as he'll actually use the car. I hope he takes it to Le Mans Classic at some point. Another surprise was the sale of a 40 mile perfectly presented 964 Turbo Flachbau for just $1.1 million dollars. Over at Bonhams we saw a similarly well turned out car not meet reserve with bidding at $1.4 million dollars. Realized: This lot was withdrawn. Just three Porsches to report on from RM this year, which is a new low for them. I'm not sure if they just weren't focused on the Porsche market this year, or if everyone chose to consign elsewhere intentionally, but this is a poor showing for the P-car market. Granted, RM sold the two most expensive lots of the weekend, so they aren't hurting for attention these days, and they did have a 100% buy-in rate on the Porsche lots they sold, so take the wins with the losses, I suppose. Nothing really exciting to talk about here. Of Bonhams' 10 Porsche lots, two of them were no-sale pieces, but they were big ones. The '65 911 appeared well turned out, and was probably worth bidding on if you believe the market isn't headed for a crash (I'm an optimist, so I say keep buying!). It was the Flachbau that really surprised here, as the bidding soared to a whopper of a price at $1.4 million before it went unsold. The big story here is Carrera GT. There were 5 CGTs for sale in Monterey this weekend, and three of them were at Mecum. One was a no-sale. One sold at $610,000 (about on par with the one at Bonhams and the one at RM Sotheby's). The final Porsche Supercar sold at a whopping $1.05 million dollars. It was a 152 mile car, and it's clearly been pampered since new, but so were the other cars, and they had between one and two thousand miles. Is the slight lack of mileage worth an additional four hundred grand? I guess so. As I recall, this is the third time we've seen the Dyson Racing 962 come up for sale in recent years, and the third time it's continued on unsold. I'm not sure why the car is seen as such a pariah in the community, but nobody seems to want to own it. I would love to store it for them for a while, if they need a place to put it, I suppose. There were a LOT of no-sale lots in this auction, as is to be expected. 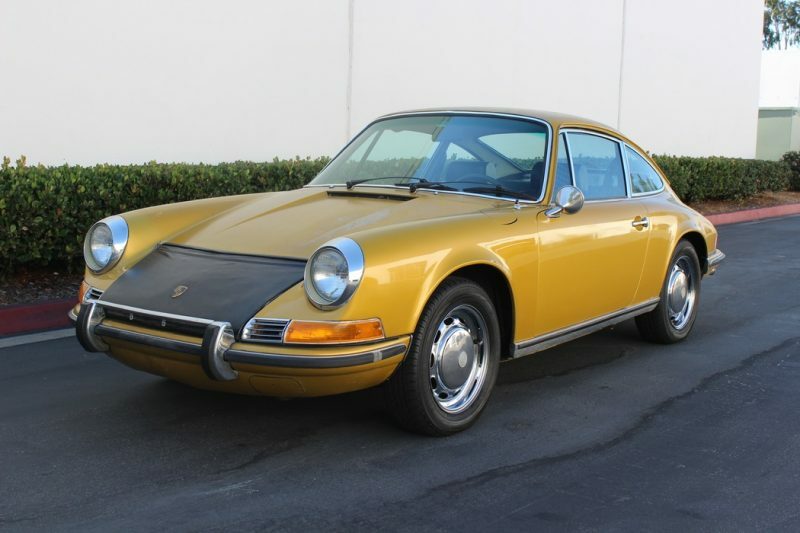 In this case, their hit rate was well below 50%, which is pretty bad in the Porsche world, even by Mecum standards. Not sure why they couldn't get the buyers in the room, but I think they need to work on that for next year. Lot T187 - 1971 Porsche 911 "934 Replica"
Lot S94 - 1967 Porsche 911 "Deluxe RS"
This car is poorly listed by Mecum, in actuality it is a 964 America Roadster. Lot 7022 - 1989 Porsche 911 Carrera 3.2 "Art Car"
Lot 7021 - 1989 Porsche 911 Carrera 3.2 "Art Car"
Lot 7025 - 1974 Porsche 911 Coupe "Carrera RS Replica"
Lot 7078 - 1971 Porsche 911T 2.4L "Survivor"
NorCal Treffen Is The Best Aircooled Show You’ve Never Heard Of!